It’s finally here! The 2017 season is about to kick-off brought in on a sea of beautiful pyro! New Stadium, new kits, and a new coach, and along with all that a whole new set of traditions, rules, and event locations. So, to help ease everyone into the new routine we’ve compiled what we hope is a comprehensive guide to Match Day Ruckus style. More Broken Cauldron specific info coming soon. 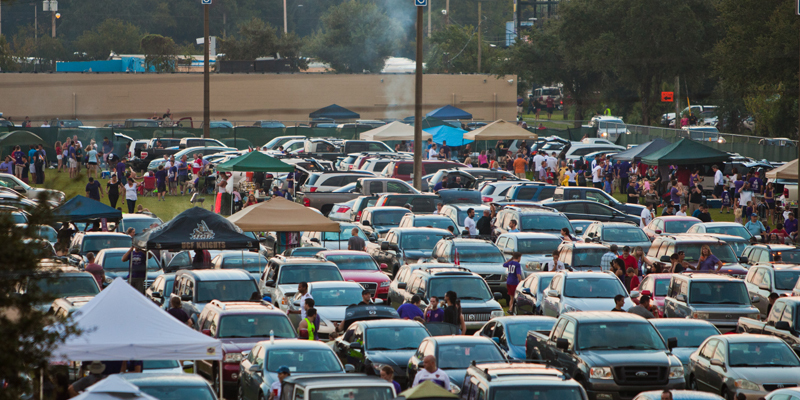 Tailgating will be a different experience this year since our space is extremely limited. That said, there are a few rules that everyone needs to know. Follow the Ruckus Code of Conduct. Violating the code is grounds for dismissal from The Ruckus and possibly removal from supporter section entirely. Be respectful of the tailgate lots. They are our new home. Let’s take care of them! If it wasn’t there when you arrived, it shouldn’t be there when you leave. This includes bottle caps, can tabs, napkins, and any and all other items that can be thrown in the trash. Take a few extra moments before you leave to pick up any stray trash you see. Remember this is OUR lot. This creates a hazard for everyone including the numerous children that will be in attendance and are also members. We understand that accidents happen. If something is broken do your best to clean it up SAFELY! If you require assistance, please let leadership or a game day volunteer know. This goes without saying, but there will be a lot of new members and potential members joining us. Let’s show them why we all love being a part of The Ruckus! It is match day after all! Please also be aware that due to the limited space, if you intend to set up a tent in our “Tent City” in the Broken Cauldron lot that you check with the pass holder for that parking space. You may also set up your tent in the Ruckus Lot, but know we are mainly trying to park as many members as possible in that lot so don’t be offended if we ask you to move your stuff so we can fit more cars in the lot. 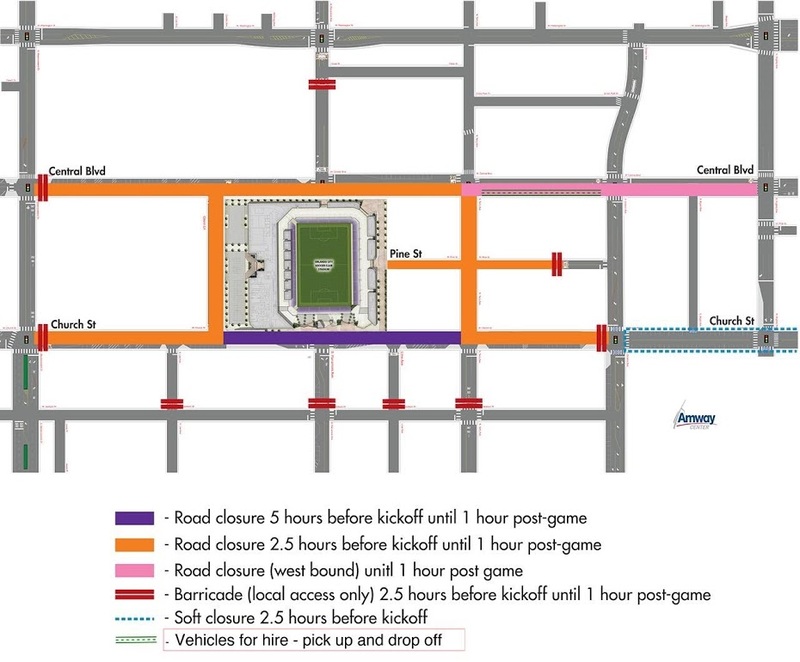 Our march will normally begin an hour and 15 minutes before kickoff each game. We will be marching from the Broken Cauldron, down Church Street, up Gleen, and then to the supporter stadium entrance. We will be entering the stadium through the Supporter Gate on the North end of the stadium on Central Blvd. Smoke for most marches can be purchased at the Ruckus tailgate. Match day volunteers should arrive at their scheduled report time listed in the members Facebook page. If your shift is later in the afternoon, please feel free to arrive earlier than your shift. If it’s your first time volunteering, find a member of leadership or your task lead to help get you where you need to be. Remember, you are a vital part of everyone’s match day experience and often the first face new members will see. So bring your A-Game, a smile (also beer), and enthusiasm when you arrive!